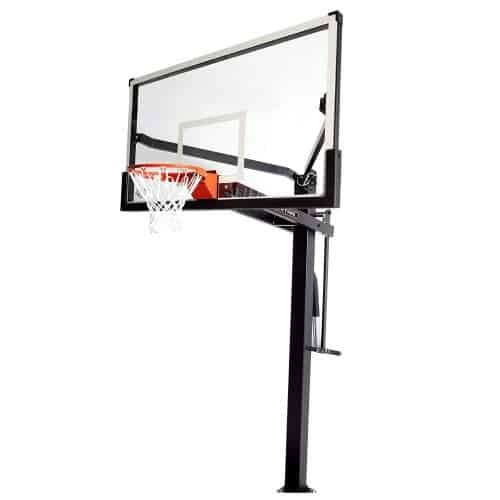 Get ready to bring the game home, and take it to the next level with the Mammoth 98862 In Ground Basketball Hoop. 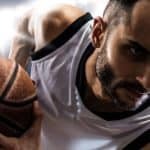 This is a beautifully designed hoop that is made from the highest quality professional materials to ensure your game goes on, even in those rugged, high intensity games that come down to the last bucket. 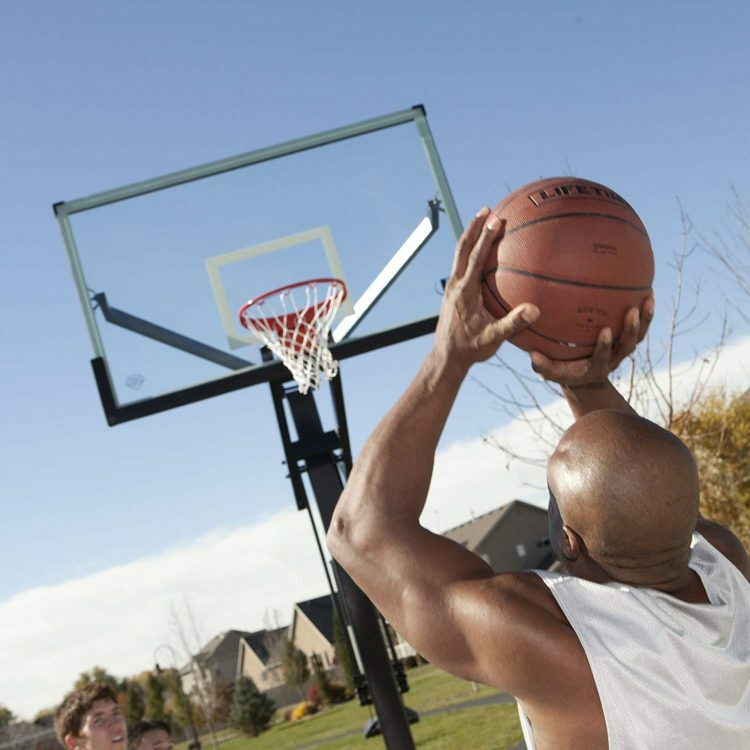 The durable backboard is designed for permanent installation, giving it stability that is near unmatched and giving a lifetime of fun and competitive excitement. To make it easy on you, the giant sixty inch hoop is easily maneuvered and adjusted with the one handed rapid cam operating system. 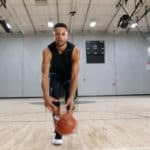 The backboard can easily be adjusted from seven and a half to the professional ten foot standard, making it a great hoop for the youngsters to practice on as well as those used to playing with a professional set hoop. 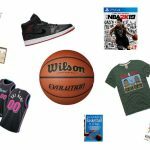 The Mammoth 98862 In Ground Basketball Hoop is prefect for practicing three pointers, jump shots, and running high intensity basketball drills, all from the ease of your own home. The permanent Lifetime Mammoth in ground models come standard with a anti vibration/flex system and a simple bolt down system for the ease of removal later on. It is one hundred percent weather resistant, so it will hold up even in the harshest of climates guaranteeing year round fun and excitement. The durable powder coating means that you will never have to deal with any rust, chipping or cracking, giving you years of use, with a high quality product designed for performance. 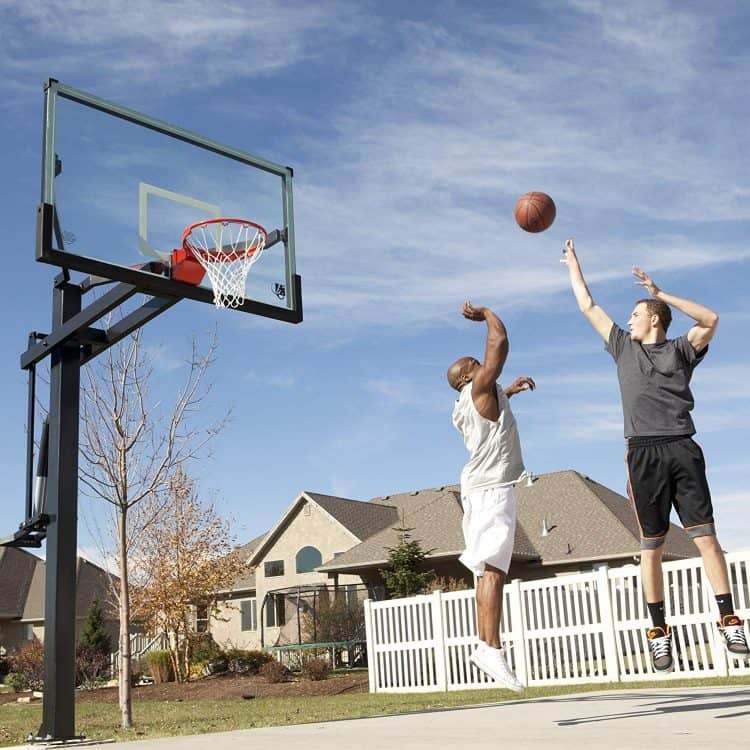 Excluding the backboard, the hoop itself is backed by a lifetime warranty in both the United States and Canada. 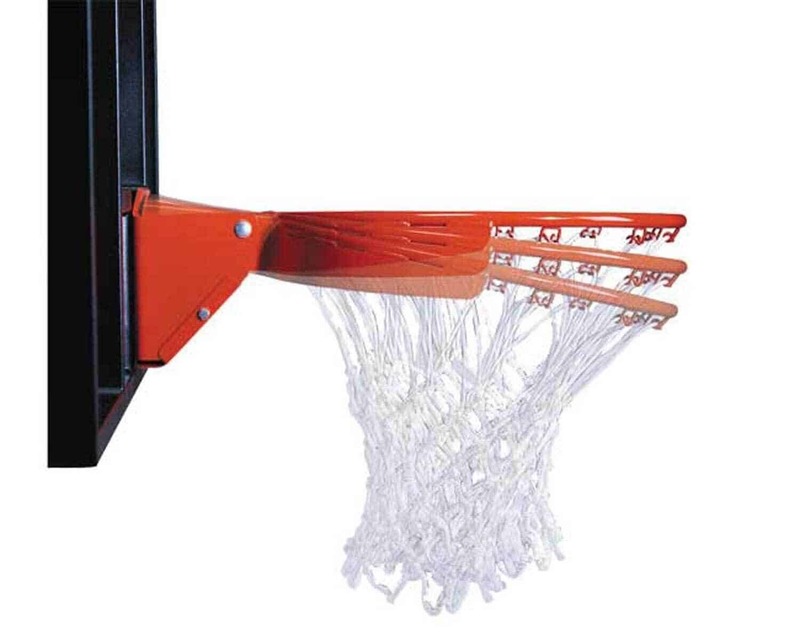 The Rapid Cam mechanism–the fastest crank mechanism on the market–adjusts from 7-1/2 to 10 feet in seconds, with a Key Lock device to ensure that the rim stays at your chosen height while you play. 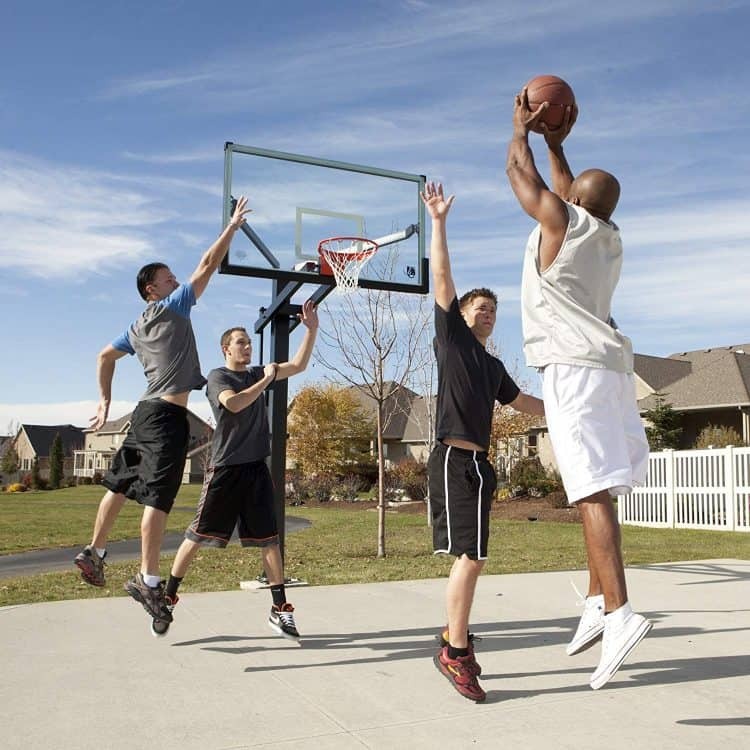 This also helps to keep your hoop from being vandalized or abused while you are not at home. 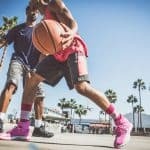 The Spring Flex rim, meanwhile, is designed specifically for players who like to throw down. 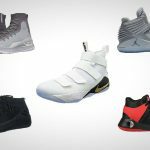 The 5/8-inch solid-steel rim features wraparound bracing and double-compression springs that give way during dunks to protect the player, then spring back once released. The rim is also supported by 1/2-inch braces, with welded-steel net hooks and an all-weather nylon net. Other details include a monstrous, powder-coated black steel frame with a rust-resistant finish, 30-inch extension arms for durability, an anchoring system with a patented anti-flex design that reduces vibration, and a precision leveling feature. The 98862 carries a lifetime warranty.